An InExact Science is a podcast sponsored by the Association for Psychological Science. I just listened to this episode about children’s imaginary friends and I highly recommend it. Does praising children for being smart promotes cheating? Praise is one of the most commonly used forms of reward. It is convenient, is nearly effortless, and makes the recipient feel good. However, praising children for being smart carries unintended consequences: It can undermine their achievement motivation in a way that praising their effort or performance does not (Cimpian, Arce, Markman, & Dweck, 2007; Kamins & Dweck, 1999; Mueller & Dweck, 1998; see Dweck, 2007). In this study, we investigated whether the negative consequences of praising children for being smart extend to the moral domain, by encouraging cheating. 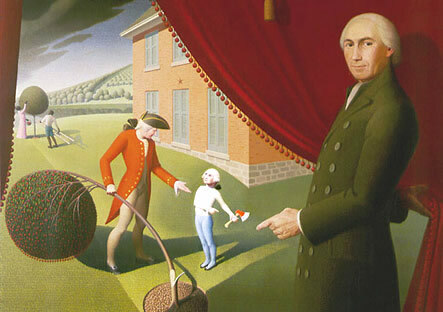 There is some prior work suggesting that evaluative feedback can influence children’s moral behaviors (Fu, Heyman, Qian, Guo, & Lee, 2016; Mueller & Dweck, 1998; Zhao, Heyman, Chen, & Lee, 2017). Telling 5-year-olds (but not younger children) that they have a reputation for being good leads to a reduction in their cheating, presumably because they are interested in maintaining this reputation (Fu et al., 2016). We propose that telling children that they are smart, a form of ability praise, may have the opposite effect by motivating them to cheat to appear smarter. In a study consistent with this possibility, Mueller and Dweck (1998) found that 10-year-olds exaggerated how well they had performed after receiving ability praise. However, little is known about whether ability praise can influence young children’s moral behavior. The present research addressed this question by comparing the effects of ability and performance praise on preschool children’s cheating. An important paper by Hanson and colleagues examined MRI scans of 77 children as they grew from 5 months to four years of age. 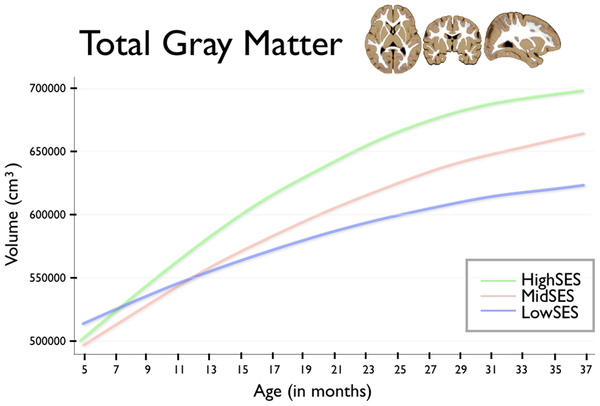 As we can see in this chart, even though the children started with similar amounts of grey matter, there was a relationship between grey matter growth and socioeconomic status. “The survey also found that in previous generations, parents who read bedtime stories did so more regularly than their modern counterparts. Only 13% of respondents read a story to their children every night, but 75% recall being read to every night when they were kids. On average, today’s parents read bedtime stories to their children three times a week. I wonder what a survey of North American parents would show? As Risley and Hart have shown, children’s exposure to vocabulary has important long term consequences.